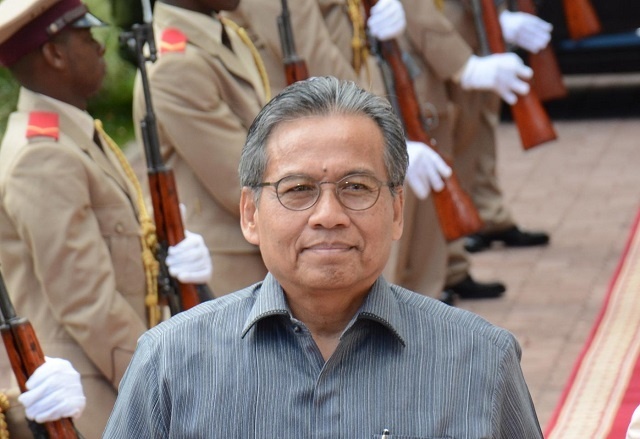 (Seychelles News Agency) - Indonesia will offer Seychelles training in craftsmanship and small-scale enterprises, said the newly accredited Indonesian ambassador to Seychelles. “Indonesia can offer its expertise in small-scale industries and handicraft which is a potential area [of cooperation], ”said Sastromihardjo. The new ambassador told journalists that Indonesia's embassy intends to “invite candidates from the Seychelles to attend training to acquire handicraft skills in Indonesia soon”. Sastromihardjo said there are still other areas for cooperation to be explored between Seychelles and Indonesia. “A lot of opportunity is still open for both countries. I also mentioned to the president that we should further enhance our cooperation in several areas, not only in trade and in tourism,” said Sastromihardjo. Seychelles and Indonesia have maintained bilateral relations for more than three decades. In his discussion with President Faure, Sastromihardjo requested the support of the Seychelles’ government for his country’s candidacy for a non-permanent membership of the United Nation’s Security Council for the period of 2019-2020. Sastromihardjo also extended an invitation to Faure to attend the Indian Ocean Rim Association (IORA) summit meeting in Jakarta, Indonesia that will be held on March 7. The new ambassador will be based in Nairobi Kenya.